Hey OWH party pals! HAPPY LABOR DAY WEEKEND!!! I hope you are having so much fun like I am! OWH Stars and Stripes. All of the fun is listed there! You will have until Sept. 8, 2013 to link up and play along!!! I am so very excited to BEE your hostess for this event! and for setting up this fun filled event! and adding a creative BEE sentiment. This card is a shaker card and was created using Get Inky! Stamps and Digital Images. The papers are from Michael's Paper Stack Recollections, The Neapolitan Collection. The scalloped heart was made using a Nestabilities Die in my Cuttlebug. And the punched out heart for the shaker was made with a Cuttlebug Die. Inside the shaker area are gemstones and silver confetti hearts. I used acetate and double sided foam adhesive to seal the gems and confetti in. This is a party, so there has to BEE prizes, right? Right! BEE-cause I love crafting so much, I want to help YOU get your craft on! (follow the directions on the site to obtain your free digital image). and will be billed via PayPal emailed invoice. then follow the directions to claim your prize! I can't wait to see the un-BEE-lievable cards you all create! :0) Have fun and thank you very much for stopping by! Thanks for your generosity in sharing a digital image and for hosting this challenge! That card is so sweet! Then I read the inside and you really made me laugh!!! That may be one of the best pun sentiments EVERY! Thanks so much for hosting this challenge. It's a fun one! I hope you can see the bee on my card...it's the only one I have, and it's tiny, tiny, tiny. It was fun making a little scene with all the tiny stamps from this set. Thanks for prompting me to get it out to play! What a cute idea. I might have to get my Cricut out of the box and use it! Thanks for the challenge!!! Thanks for the challenge. I love any opportunity to use my bees! Loved your card. All the cards are so cute! You picked an awesome theme! I learned from this I need more Bee stuff : ) TY for hosting! Great card and loved the challenge! 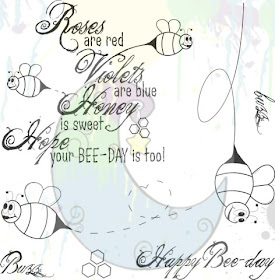 I have a lot of bee images and have never made a card with them - now I want to make more of them! Thanks for sponsoring such a fun challenge. What an adorable card! 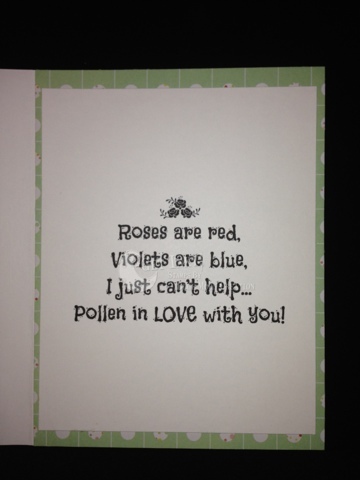 Love those little bees with the hearts and the sentiment is perfect! Another awesome stamp set! Thanks so much for the challenge ~ so fun! 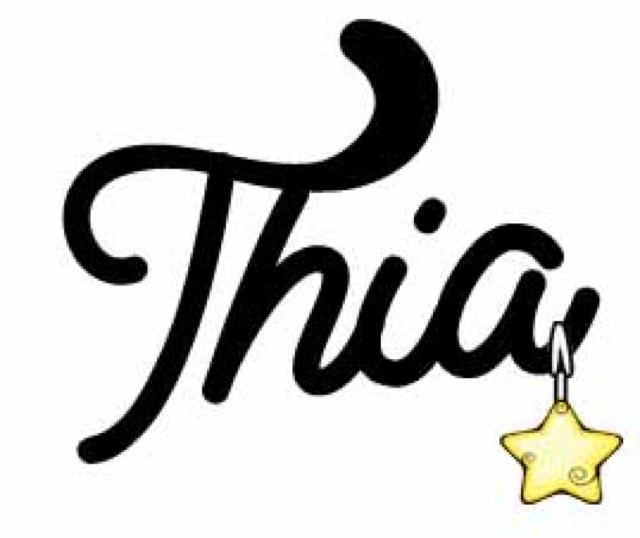 I'm Thia. I'm a creative designer who is addicted to card making and papercrafting. When I'm not crafting I'm off hanging out with my family (hubby and 2 little ones), or I'm designing for others. Thanks so much for stopping by. Please feel free to leave a comment or two...I will respond to your comments, as I love reading them. I hope you find great ideas, fun, and inspiration here!